Our team delivers advanced care to children with CF and educates their families how to manage the disease. Cystic fibrosis (CF) is a genetic disease that affects the lungs and digestive system by making fluids and mucus thick and sticky. This causes persistent lung infections that progressively limit the ability to breathe. Children with CF also suffer from digestive problems that prevent the body from breaking down and absorbing food, leading to inadequate growth and nutrition. The good news is that today, thanks to high-tech medical advances in drug therapy and genetics, children with CF are diagnosed earlier and with treatment can live well into adulthood. Screening and follow up services for newborns: All newborns at Children’s are screened for CF. About 30 babies are born in Georgia each year with CF. Babies are typically diagnosed at about one month of age, before showing signs of the disease. Diagnostic testing: The sweat test is a simple, painless test to diagnose CF. Pulmonary function tests: This test lets us see how well your child’s lungs are working. Bronchoscopy: This test examines your child’s throat, larynx, trachea and lower airways. Support groups: Children’s has established a CF Family Advisory Council—made up of a group of our patients' parents—who serve as an advisory group to the Emory Adult Cystic Fibrosis Center, the Emory+Children’s Pediatric Program and the Scottish Rite Affiliate Pediatric Program. We also have a Family Mentor Program to match families facing CF with trained, veteran parents. And, our CF Transition Program helps children with CF achieve a full, independent life. Our cystic fibrosis team is committed to excellence and innovation in pediatric CF research. In conjunction with Emory University School of Medicine and Georgia Institute of Technology, we are actively involved in the development of new treatments and therapies for children with CF. To find Cystic Fibrosis clinical trials being conducted by Children's and Emory, enter “Atlanta, GA” into the “Location” filter on the left side and adjust the “Distance Willing to Travel” field to “within 50 miles”. At Children's, our team is 100 percent committed to kids. Our pediatric doctors and nurses understand that children’s medical and emotional needs are different from adults. That is why we use specialized equipment and techniques to provide the care kids with CF need. Children's is also accredited by the national Cystic Fibrosis Foundation and we follow its guidelines. 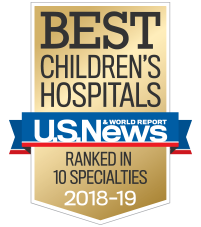 Our pulmonologists are part of a multidisciplinary team that also includes pediatric gastroenterologists, clinical nurse specialists, dietitians, social workers, respiratory therapists and child life specialists.